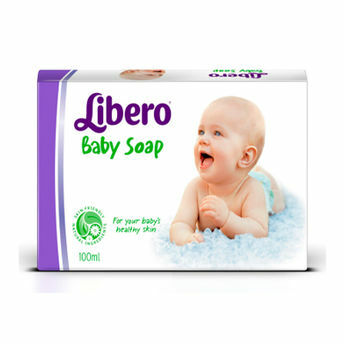 Libero Baby Soap protects moisture loss from your baby’s skin. It contains Glycerine and Vitamin E which makes the skin smooth and soft. This mild soap cleans the delicate skin of your baby.